TrueConvert, a desktop-based competitor to SuperConvert 4, not really! 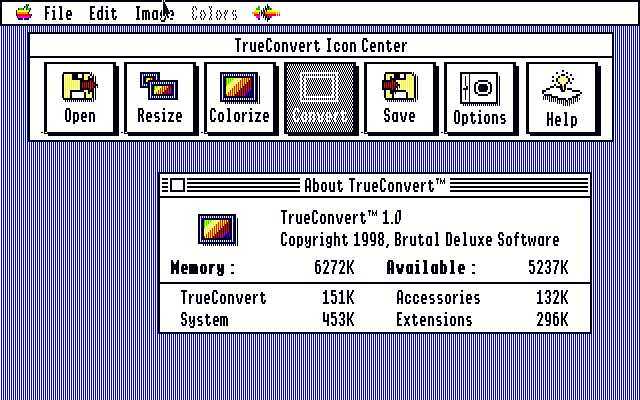 TrueConvert was Antoine's wish to make a Desktop version of Convert 3200. The interface was close to completion. It was missing the image routines, the heart of the program!